We always hear adults learning languages complain about not learning the language as a child. This is because it is easier to learn a language when one is a kid rather than when he or she is a teen or adult. Why do kids become bilingual so easily? 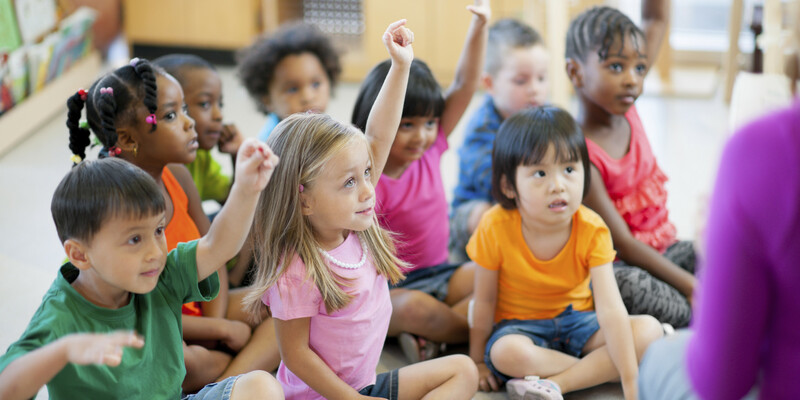 For young children, learning language is a part of their brain chemistry. Children are built to absorb information; they do this in an unconscious state of mind, like they’re learning, and they don’t even know it. Adults and older children, on the other hand, have to consciously learn the information. This makes it harder because when we learn consciously, information sometimes gets lost or disassociated. Studies show that the best time to learn a new language is between birth and age 7, in what is referred as “the window of opportunity.” While we can all learn a new language, research shows it is easier for young children to learn a second language, and, as a bonus, boosts multiple cognitive benefits for the child. Babies and young children learn foreign languages best by interacting with people rather than passively through a video, DVD or audio recording. Spanish Workshop for Children’s approach to learning Spanish ensures that children learn the language by direct interaction with the teacher. During playful interaction, children are learning so much from the teacher. Spending time with a child is important. Our native speaking teachers keep them engaged, interacting with them — that is what helps them learn language. Spanish Workshop for Children ensures that kids learn in classroom settings that mimic natural situations to produce a longer-lasting effect. When deciding which program is right for your child, be sure to select the one that is appropriate for your child’s age. Interacting and playing with children of his or her same age range is important to a child’s development. The curriculum, teaching strategies, and environment reflect research-based knowledge about the way children develop and learn. Teachers consider the strengths, interests, and needs, as well as the culture and home language, of each child in the group. It is amazing how much children learn when they hear the language regularly and are in the right class.